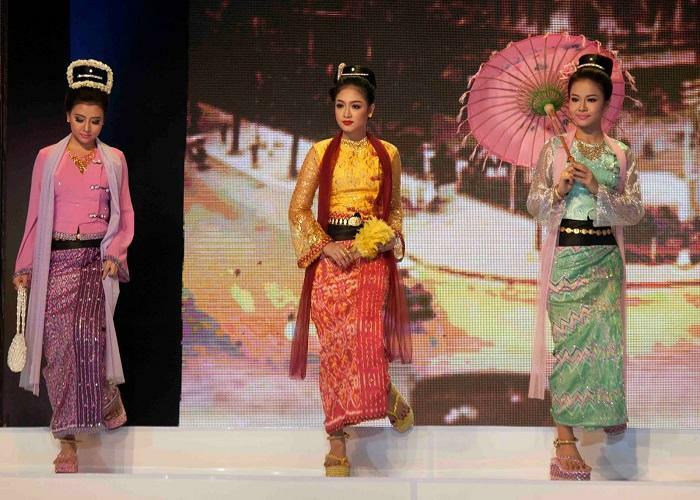 What’s So Special About Myanmar Traditional Clothes? 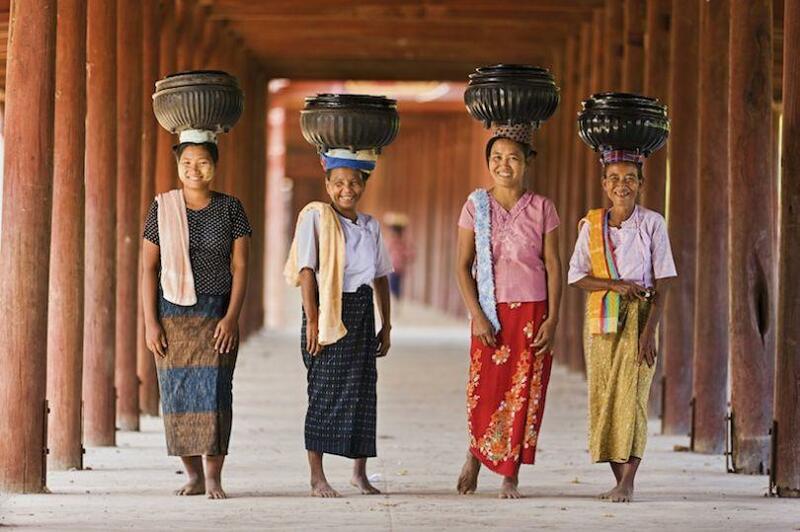 Home Travel Blog Myanmar travel guide What’s Special About Myanmar Traditional Clothes? Dating back to 1750s, traditional Myanmar costumes of Burmese people was decorated with some stunning pieces of jewelry. Especially when the wearers held a high status in society, like court officials for example. Women had a few floral ornaments, even on their blouses and footwear. Before Longyi, the local men put on a skirt-like piece of clothes called “Taugshay Paso” while women were dressed in a “htamein”. Even though not so different from the Longyi, such ancient styles were assessed to be more elaborate. Right before the British attacked and invaded Burma, the type of fabric was the signal of the wearer’s wealth and status in society at that time. For example, silk fabrics were usually worn only by royal or rich people. Meanwhile, the poor Burmese only wore silks for weddings or other special events. Which occasions do people wear Burmese traditional dress? Most people from other countries will choose to dress traditional clothes on some special occasions and festivals. Whereas in Myanmar, the locals wear their costumes every day. 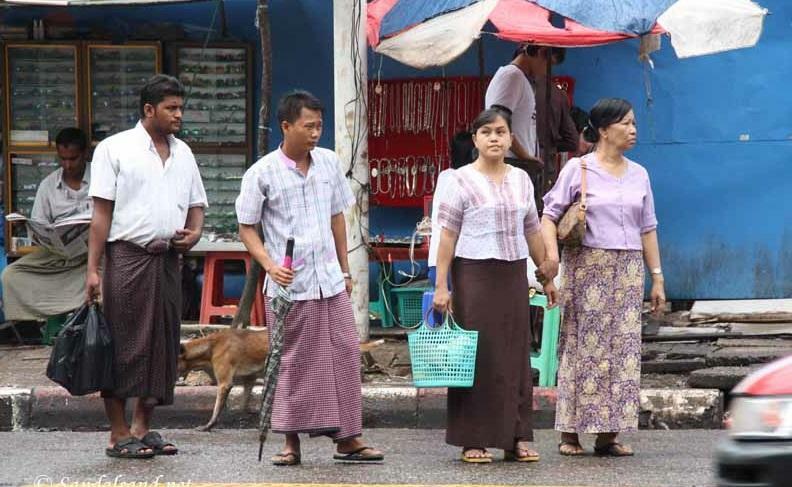 It is because they feel extremely comfortable, especially in the hot and humid weather of Myanmar. The speciality about traditional clothes in Myanmar is how easy they are for people to put on and take off in daily life. More interestingly, these garments can be freely pulled up to transform into a complete raincoat. Burmese women here are not euphemistic at all, particularly in the way of dressing up. They rarely put on any makeup even in some important events. Thus, when visitors come to visit Myanmar, they have a feeling that both people and place here are just simple, friendly, and sincere. 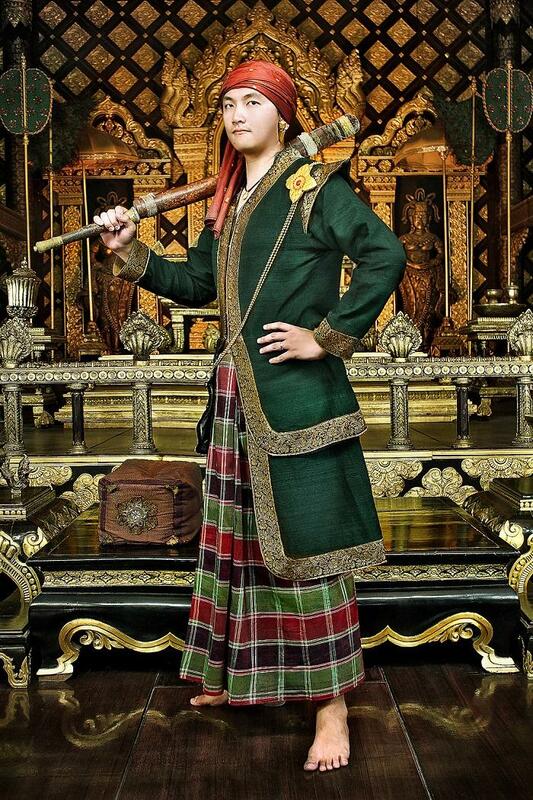 So once traveling to the country, it’s best to try putting on Myanmar traditional clothing. Then don’t forget to chat with the people, I’m sure that you will love them immediately. Men wear one shirt without a collar, which is also considered as the masculine longyi. On the other hand, women would put on one blouse covering their shoulders and their feminine Longyi (known as Htamein). Both of these types of Burmese clothing are the great inspirations of the local costumes. They’re both long and falling to the ankles. A man tends to wear his Longyi around his hips and tie one knot in front. A woman will fold it and stabilize on one side that she likes. Each nation has its own special traditional clothing which stands for its social status and cultural value. These types of garments worn by Burmese people are often determined by the histories of their country, climate, tradition, and even ethnic groups. By joining Classic Myanmar 6 days tour, you will have chance to discover all the highlights of Myanmar as well as see the locals in Myanmar traditional dress.